Please note that the OT1+ is currently being phased out due to component obsolescence. 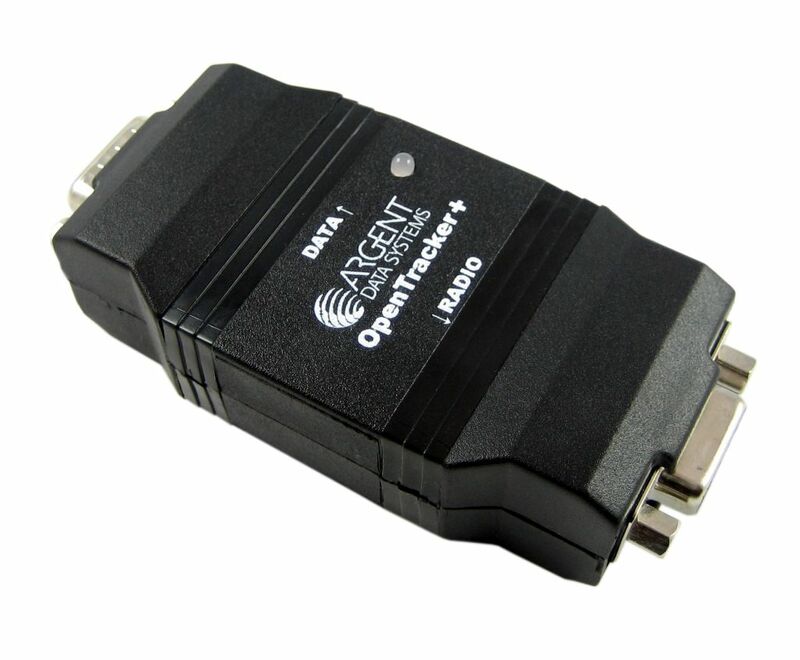 The OpenTracker USB has replaced it as our entry-level APRS tracker. The OpenTracker+ is an APRS tracker that can also receive data from other stations and has waypoint output capability. Use the OT1+ to report position, course and speed, time, and altitude when connected to a GPS -- not just from a vehicle, but anything, including a bicycle, weather balloon, or backpack. Or, use the OT1+ to encode and transmit data from a supported weather station. The tracker will also report telemetry from its onboard temperature and voltage sensors, and an external counter input can report a cumulative total of counter events or the number of events since last transmission. The OpenTracker+ replaces the OT1x and OT1m series. The OT1+ added waypoint output capability, increased program space and RAM, and a simplified hardware design. Available as a kit or fully assembled. 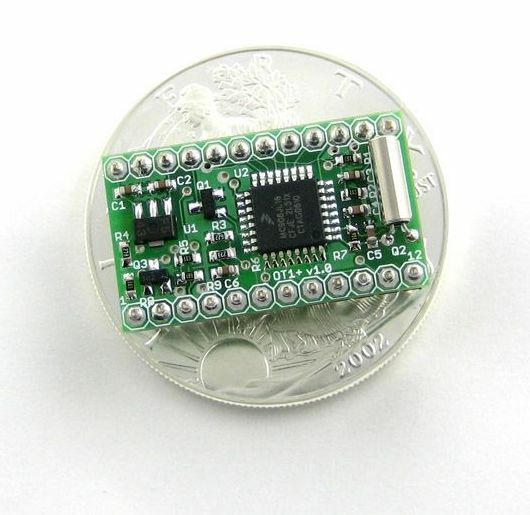 The OpenTracker+ SMT is a surface-mount version of the OT1+, with a 24-pin DIP form factor. 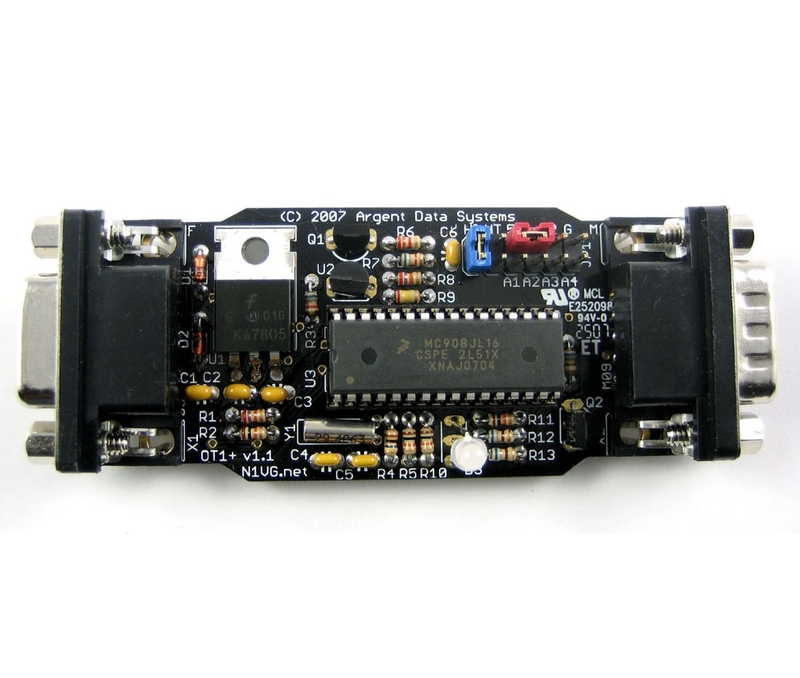 This board has the same features as the OT1+, except it does not include a built-in temperature sensor or LEDs. Only available assembled. OpenTracker+ Brochure (two page .pdf). The otwincfg.exe configuration program can be used with all models of OpenTracker and Tracker2. For otwincfg connection problems, see the FAQ. The easiest way to update the firmware is to use the 'Load Firmware from Web' option in the configuration program. The following firmware files are provided for off-line use. This firmware is only for use with the OpenTracker+.